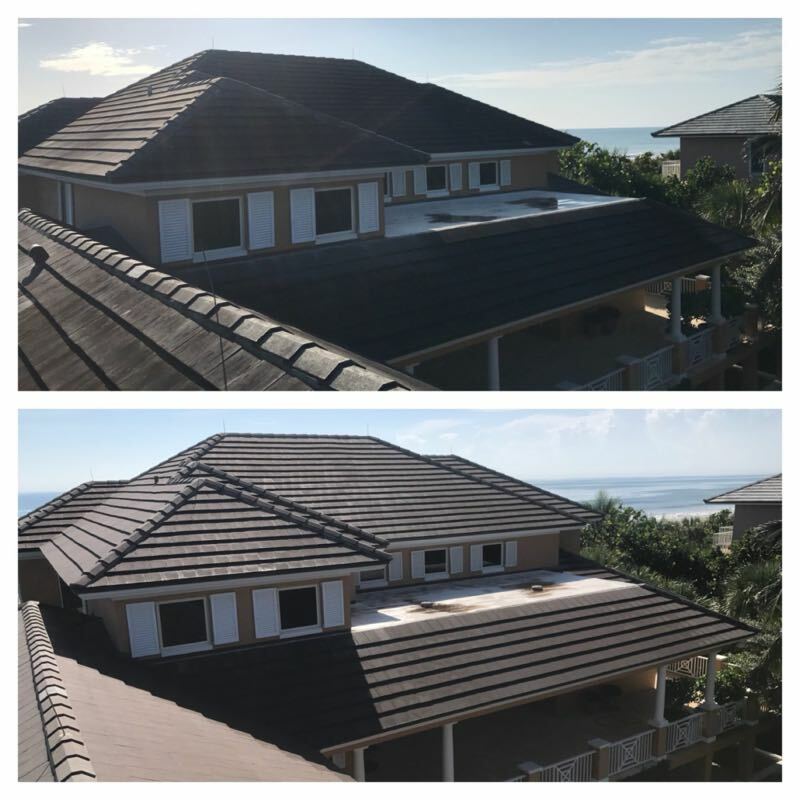 Experience why the most luxurious homes in Vero Beach choose Castle Keeper's Maintenance for their roof cleaning. We're excited to offer a brand new approach to cleaning your roof. Introducing soft washing. Rather than trying to blow the dirt and bacteria off your roof, we'll completely kill the dirt and bacteria with a unique and effective cleaning solution. Pressure washing is still an excellent option for cleaning many areas around your home but when it comes to your roof, nothing beats soft washing. Our unique soft washing solution will deliver results that will leave you completely speechless. 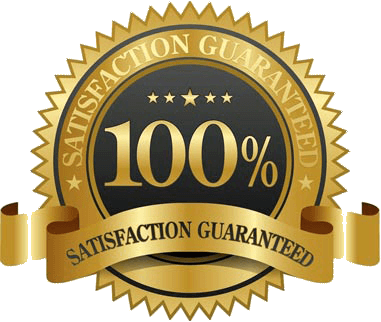 All of our work is 100% guaranteed. 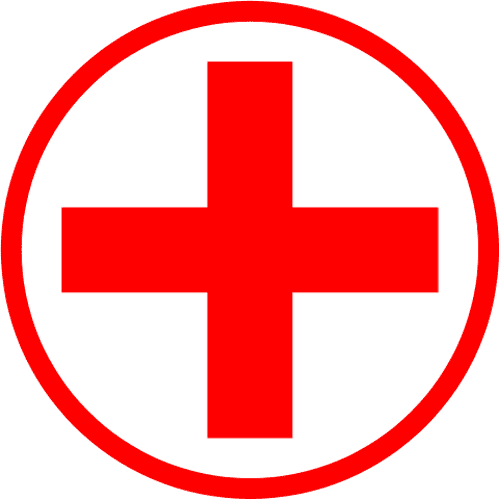 Our company is also fully licensed and insured for your total peace of mind. Don't pressure wash, soft wash! Using high pressure to clean your roof can cause damage to your shingles and ultimately harm the structure of your entire roof. It also forces dirt and bacteria further into crevices only to have them grow back soon after pressure washing your roof. Whereas, our unique soft washing solution coats your roof and effectively kills and destroys bacteria and other microorganisms at their roots. Contact us today for a free estimate and experience for yourself the amazing results that come from soft washing your roof! Every year thousands of folks buy roof cleaning equipment and decide to start a cleaning business. Some are successful, most are not. 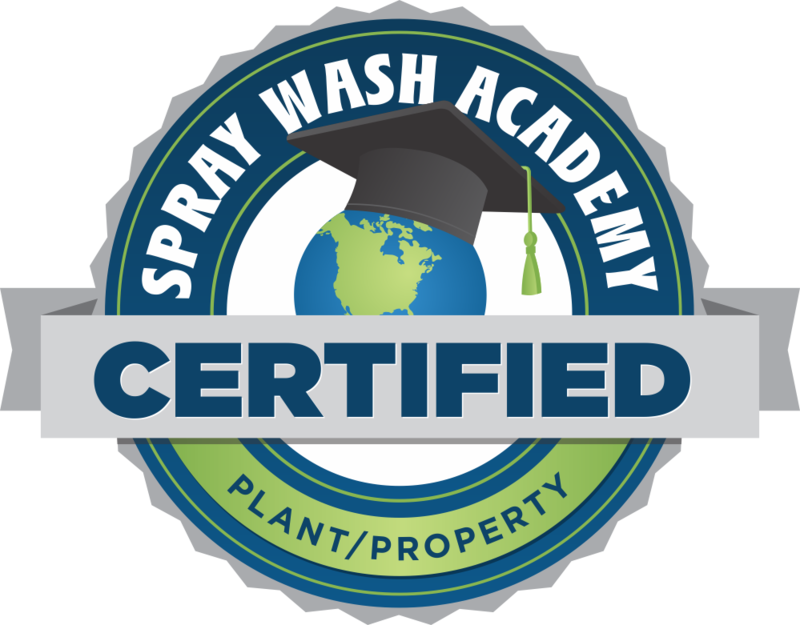 Spray Wash Academy provides real hands on training for roof washing professionals. Castle Keeper's Maintenance is happy to be a graduate of the Spray Wash Academy. Absolutely professional, prompt on arrival, and very informative about soft washing vs. pressure washing on clay roofs. We are so happy they left their information on our door handle. NOT one other company responded to our calls. Joe and his assistant are the best and we would recommend them to anyone. The price was exceptional also. Highly recommend this company. 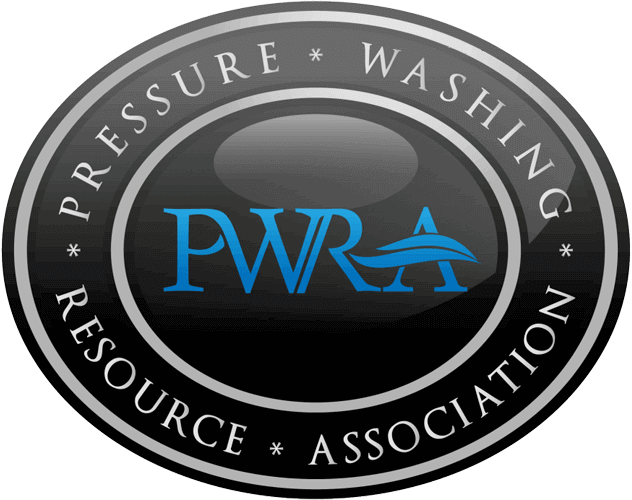 We're proud members of the PWRA, the premier association for professional pressure washers. Your roof will remain bacteria-free for 2 complete years - guaranteed! We're so proud of the amazing results achieved from our premium soft washing process, that we offer our exclusive 2 year roof cleaning guarantee! Yes, that's right! 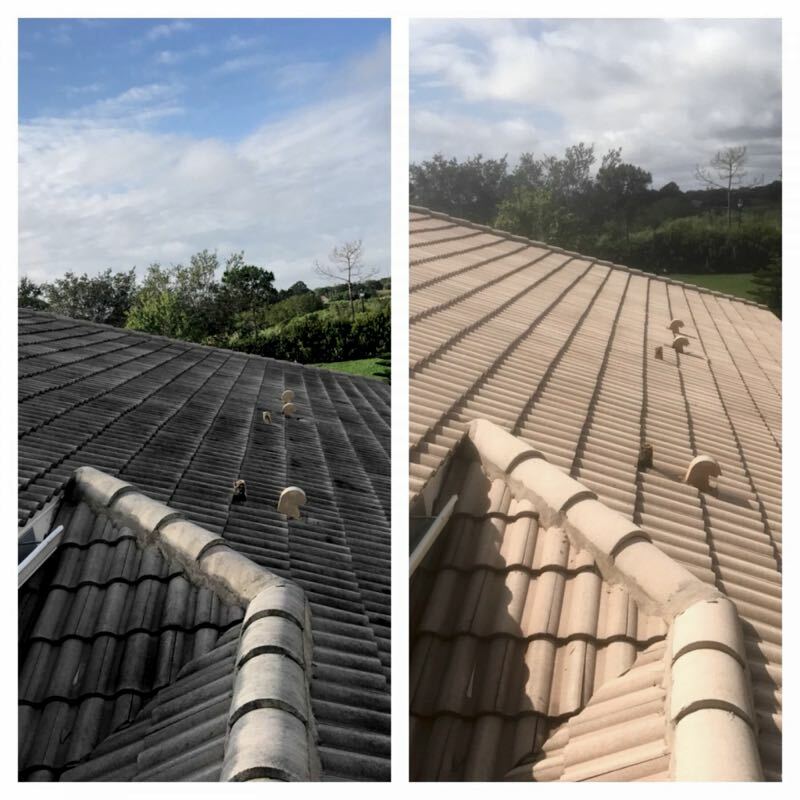 We guarantee that if you hire us to clean your entire roof with our state of the art soft washing process, no bacteria or algae will grow back for up to 2 full years. If you discover that it has, simply contact us and we'll return and clean your entire roof for free. How's that for standing behind our amazing soft washing process? Don't wait! Schedule your free roof cleaning estimate today.